We've got so much of it here that most of us adults are downright cranky at the sight of it falling from the sky. 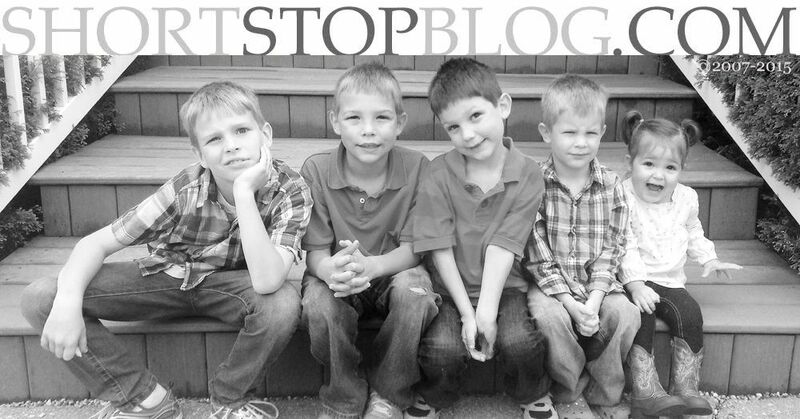 But my little boys - they absolutely love it! They start jumping up and down every time they see a few snowflakes beginning to fall. They're excitement is contagious. Truly. I've yet to become a grump about the snow because of the joy it is bringing my children. So today - as the snow fell outside the window - we made Coconut Macaroons. And, because the Momma in this house loves her some chocolate, we dipped some of them in chocolate, too. I love the platter filled with both kinds - some for the chocolate lovers, and some for those who'd prefer 'em plain. Our lesson: We are SO thankful for snow, snow, and MORE snow! *As my husband takes his first bite of the day's cookie, he has been consistently sharing with me his slightly cynical version of that day's lesson. Today's lesson a la Jason: "If you get stranded on Gilligan's island, you can still make cookies." Spit. Out. My. Coffee. Preheat oven to 325 degrees. Combine coconut, sugar, flour and salt. Add egg whites and extract; mix well. Drop by tablespoonfuls, 2 inches apart, onto greased and floured baking sheets. Bake 20 min. or until edges are golden brown. Transfer to wire racks or waxed paper. Cool. 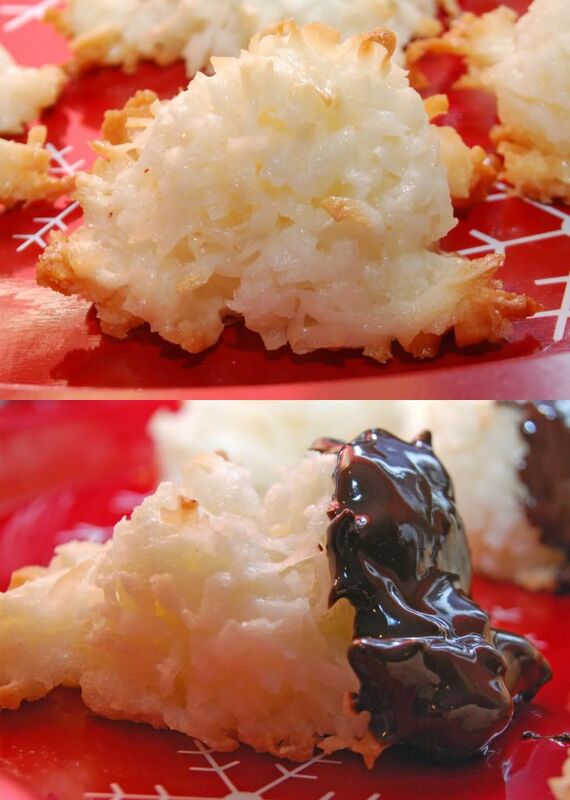 Chocolate-Dipped Macaroons: Melt chocolate in microwave for 30 seconds. Dip cookies halfway into chocolate. Let stand until chocolate is firm. Wow, Sarah! I haven't checked in in a few days and I have LOVED reading through these recipes and lessons. And, of course, I can't wait to bake some of these delicious cookies. What a great idea! My family is not big fans of coconut so I won't be making these, but - I made the thumbprint cookies and they are a hit! They taste great and are pretty cute too! Thanks again for the recipe. Ahahahaha! I laughed out loud when I read Jason's comment. Granted, I've had a glass of wine. But still. Miss you my friend! Oh Sar- Jason is so funny. That's hilarious. I love your perspective on life and snow. And the way you made macaroons even though they LOOK like snow... way to go! Love Jason's perspective on these - he's hilarious. I'm not a huge coconut fan, but Dave would LOVE these I'm certain. This is one of my all time favourite recipes. I just made them this week too.